It’s the new year, and a perfect time to get new NYC headshots, revamp your resume and update your monologues/songs, and The Barrow Group’s acting class in NYC is the perfect place to get guidance and advice to move you forward in your career, presenting the best you possible. Stale material and old headshots don’t show you in the best possible light, no matter how much you like your shots or that monologue you’ve been doing since high school. Your NYC headshot is your gateway to your casting. It highlights you, and should show off your personality, not just be a pretty picture. If your headshots are older than five years, you need new ones. Sometimes these are all that are used to call someone in for an audition, or how a director remembers you out of the thousands of people at a theatre conference. 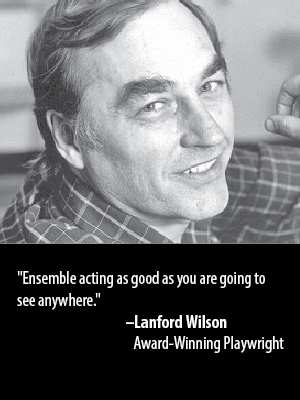 In The Barrow’s Group acting class in NYC, you’ll be given guidance in choosing the best shot. A good headshot session leaves you with many choices. Let our experienced professionals, some of them casting directors, lead you to the picture that is best for your career. Your resume is the history of the roles you’ve performed, and should be for the most part representative of you now. It’s time to look it over and remove roles that you did many years ago, unless they were with a known director or in a reputable theatre. Having that you played Anne Frank or Oliver in your early twenties when you’re now in your forties doesn’t help the director to know who you are now. He may believe the role to be recent unless you include dates, but who wants to date themselves? At The Barrow Group, we will look at your resumes and help you format them into the industry standard format, paring out the unnecessary listings and highlighting the vital ones. Additionally, there are different resumes for different things – theatre, screen, commercial, and backstage work. In our acting class in NYC, you will learn the importance of all of these criteria when sending out a resume. No doubt you have standard monologues and songs which are so well-known to you that you could perform them without any effort or complete concentration. The piece is a part of you, and has been for decades. If that is the truth, you may want to consider updating your material to something more age appropriate and apt for the actor you are today. You’ve come to the right place. 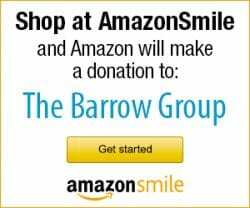 At The Barrow Group’s acting class in NYC, we help you find new pieces and work them until they are just as comfortable as your old standards. We also ensure you don’t make any rookie mistakes, like singing the “it” song on Broadway which is so overdone that directors groan when they hear the opening bars. In your NYC acting class, you’ll learn monologues and songs that will have the people behind the table leaning forward to hear you at your first words or measures. You’ll build a repertoire that provides you with suitable pieces for the specific play or musical for which you audition. For instance, you wouldn’t do Mamet for a Shakespeare audition, or Sondheim for a Rogers and Hammerstein musical. The Barrow Group’s acting class in NYC will help you find these facets of yourself, and show these talents off to the best possible measure. When having your headshot done, be sure to go to a professional photographer who and makeup artist who specialize in NYC headshots. There’s a difference in look between LA shots and NYC. NYC tends to be more authentic, while LA shots look like they’re used to sell toothpaste, since the commercial market is so varied. They are definitely using color headshots in LA; in NYC headshots, both color and black & white are seen. You can have a headshot (showing just the face) or ¾ shot, showing the upper torso. Most directors prefer a good headshot, but a ¾ shot will allow them to see your body. It’s very important that you look like your headshot. A makeup artist may be able to make you look flawless, thinner and younger, but when you walk in, you don’t want the casting director to say, “Who is this person?” You want an attractive picture, but not at the point of altering the truth to such a degree. There can be several themes found in a headshot. First, you must realize your type. Are you brooding, moody and/or mysterious? Your headshot should give a hint to that. However, you don’t want to come off so dark that no one will want to work with you. Are you friendly, smiling and/or enthusiastic? Such a shot would require a sparkling eyes and smile look, perfect for commercials, best friends and leads. Representational NYC headshots are a tricky thing. You don’t want a shot that types you for a certain role, unless you want to play something specific your entire career. An actor made his living playing background policemen and G-Man, and his headshot evidenced that: stern, steely-eyed and strong jaw. His hair was short. He would never be called in for the affable doctor or best friend, but he had rather constant work. So, what if you feel your headshot is too generic, and you feel you’ll be overlooked, what do you do? Best to get another shot that shows off a certain side of you. Or a comp card, which shows off four different looks. Examples can be found here. Today most directors request a headshot/resume, but there are times that sending a comp card is warranted – especially if they’re looking for a skater and you show yourself doing that on your comp card, or any other specialized skill. Strive to use a representative shot that works for several reasons. With all these tools updated, you’ll be ready to take the acting world by storm. Just let The Barrow Group’s acting class in NYC guide you and hone the talent you bring to the table!